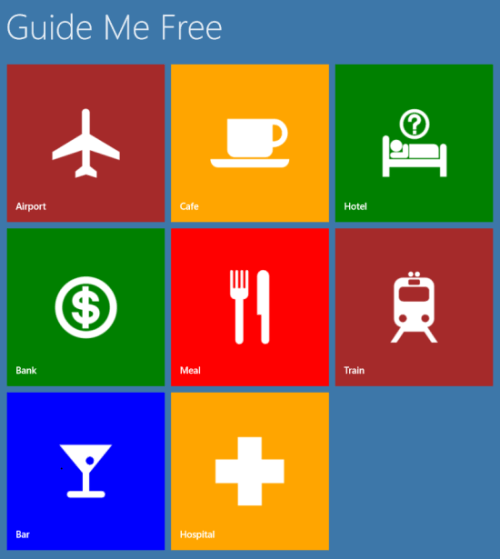 Guide Me Free is a Windows 8 directions app that utilizes Google Places API to help you find airports, cafe, hotels, banks, ATMs, meal, train stations, bars, and hospitals near you. The good thing is that being backed-up by Google it can be utilized on almost all regions of this planet. 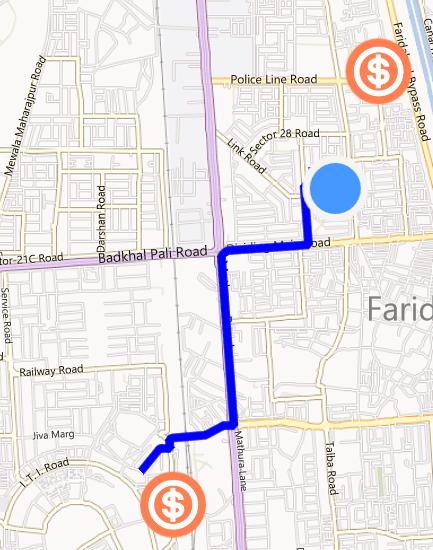 This directions Windows 8 app automatically fetches your location as per the GPS sensor or from your ISP and presents the destinations nearby. 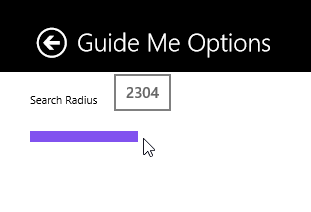 On launching this Windows 8 directions app for the first time you will receive a prompt about allowing Guide Me Free to fetch your current location. Your task will be to click on ‘Allow’ button after which you will be presented the interface as in screenshot below. Now, depending upon your requirement you can click on any button. For example: to search for Banks and ATMs you will require to click on ‘Bank’ button, to search for hotels you can click on ‘Hotels’ button, ‘Meals’ buttons for meals and so on. Then, you will require clicking on the marker showing destination after which you will be prompted about tracing the road path to it. Click on ‘Yes’ and in no time the path will be shown to you. 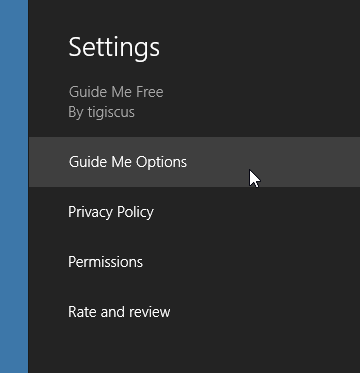 Activate Windows Charms bar and select ‘Guide Me Options’. Then, specify the distance by adjusting the slider control. * It will be a nice idea to set the radius to its maximum when searching for hospitals, airports, and train stations. Also, if there is no such place then you will receive the prompt regarding it. 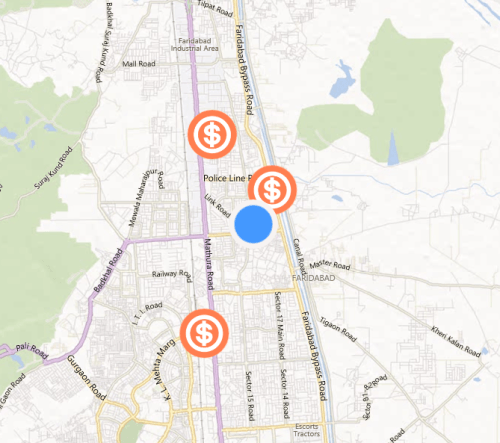 Do not miss out our posts on Map Apps, Weather Apps, and Search Engine Apps. To install Guide Me Free Windows 8 directions app will require opening this link in Internet Explore (10 or later). Then click on ‘View in Windows Store’ button. Next, click on the ‘Install’ button after being redirected. The app is only 3.55 MB in size will not take much time to install. Guide Me Free Windows 8 directions app a simply fantastic. You must consider giving it a try and I recommend it wholeheartedly.